In just under a month, BioWare’s Anthem will finally be available and we couldn’t be more excited to get our hands on it! With so much going on and a rich narrative to get lost in, it can be hard in a game like this to slow down and simply appreciate the true beauty of it – and this is definitely beautiful. COG’s own Paul Sullivan was given the opportunity to head down to the studio and play the upcoming multiplayer sci-fi epic, bringing back with him some fantastic footage of what it has to offer. But Anthem isn’t all about guns and chaos. No, this is a truly magnificent world to explore and exploration is absolutely a key focus. With the ability to soar through the air in your Javelin of choice, we’ve put together 10 minutes of blasting through the skies, coasting in the clouds, and diving deep. Enjoy this gameplay featuring the Ranger and Storm. Anthem is the latest title to come from BioWare, having been in development since 2012. Players will take on the role of a Freelancer: a Javelin pilot tasked with exploring, gathering, and defending for Fort Tarsis. 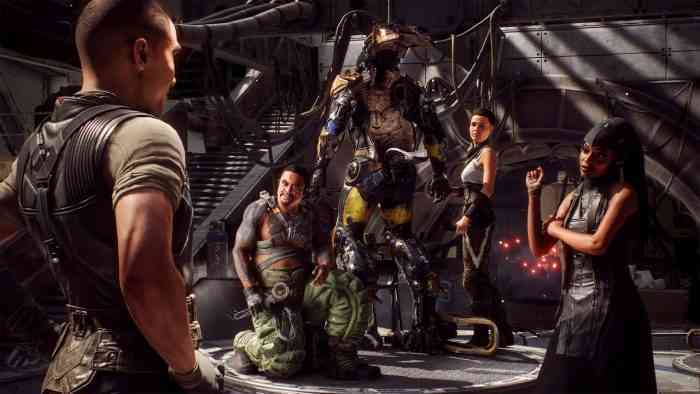 With four unique Javelin styles to choose from – each with their own special abilities – players can unlock and customize all four styles, preparing for any situation. The Dominion, a faction of humans who oppose the Freelancers and Fort Tarsis, hope to take control over the Anthem of Creation; tools left by the god-like Shapers that control the power of life and death itself, and it is up to the Freelancers to keep the Dominion at bay and protect the dangerous and incomplete world. Anthem is set for release on February 22, and will launch on PC, PlayStation 4, and Xbox One. For those who preorder the game, you’ll have access to a demo that goes live Jan 25-27. For more information on the game, check out its official website, and don’t forget to read our full thoughts on the experience and read up on everything you need to know about Anthem.